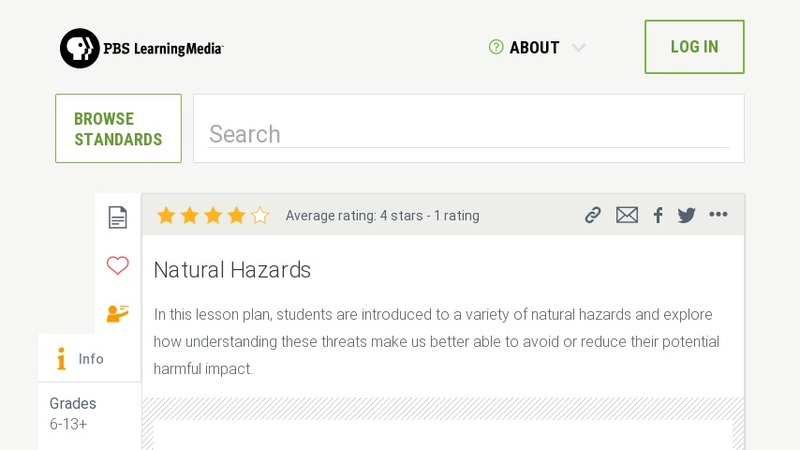 This lesson introduces students to a variety of natural hazards, emphasizing that when people understand these threats they are better able to avoid or reduce their potential impacts. First, the class discusses what they know about natural hazards and natural disasters. Then, working in pairs, they research particular hazards; the threats they pose and where and when those threats are most pronounced. Following this research period, the class assembles what they have learned into a general overview of natural hazards nationwide. Following the second class discussion, students work in pairs again to explore the hazards that affect particular towns, cities, or regions of the country. In doing so, they learn more about how and why certain natural hazards impact specific areas, as well as what people are doing to minimize the threats these hazards pose.